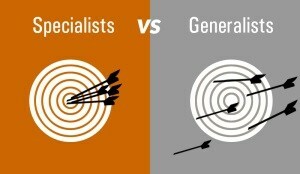 The simple answer to this question is we would rather be specialists than generalist. With this philosophy in place, we believe that it gives Advance TM Group a distinct advantage over other companies who look to cast a wider net and are reluctant to commit and focus on one industry, this is something that is backed up by the quality and consistency of the results we generate for our clients. We believe that offering an industry-specific approach to the call campaigns we run for our clients gives them confidence that we can deliver on their expectations from the services that we provide.